My mother loved snowmen. One year she gave me this little tea set and I've included it in my Christmas decorating ever since. This year I added some poinsettia garland to my little oak chair along with a red and white place mat. 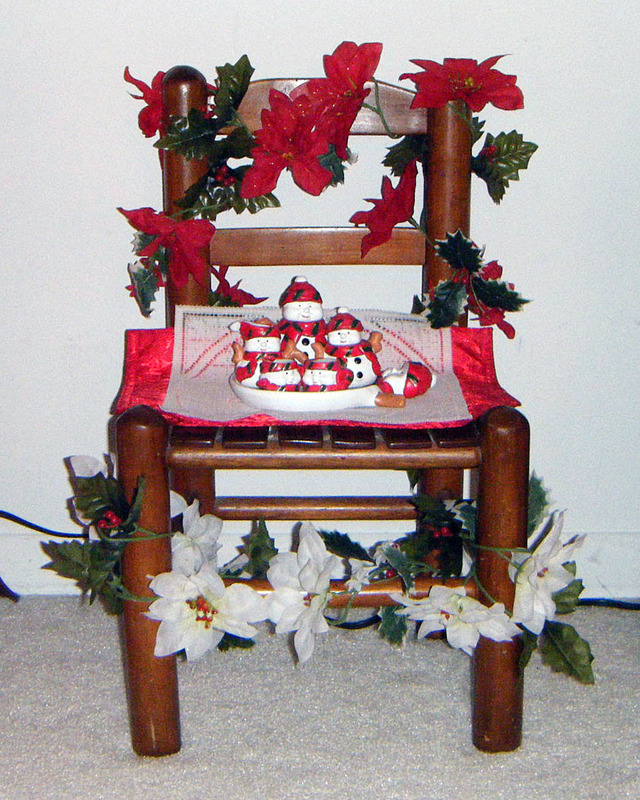 The little chair is the only piece left from a table and chairs set I had as a five year old. I have no idea where the rest of the set went but I've guarded the only surviving chair like a hawk!